The pressure on the European currency had economic indicators of the EU this week. Announced by the number of new jobs of non-agricultural sector of the US put pressure on the US dollar. The number of jobs increased by 151,000, the forecast assumed 180 thousand. However, some voting members of the Fed believes that the growth of new jobs even at 100 thousand will be enough to save the reducing trend of the sector. The unemployment rate remained at the same level in the country – 4.9% against expectations of 4.8%. The focus of investors upcoming ECB meeting, which is scheduled for next Thursday. 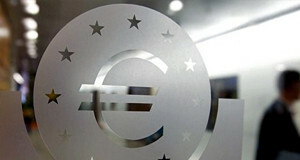 The importance of the meeting for the European currency increased by weak statistics background. The EUR/USD showed a recovery, but the quotes continues moving inside the descending channel. The RSI showed a rebound that could support an upward movement to the level of 1.1300. However, the main scenario for the EUR/USD pair assumes a reduction in the European currency without the test the upper limit of the downward channel. Break of 1.1100 level will open the way “bears” to the key support 1.1000.